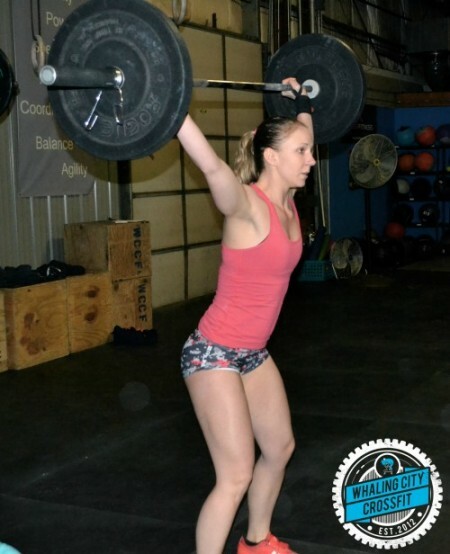 Becky During Open Workout 15.2! I wanted to provide some further clarification on the changes to Open Gym, as there has been much discussion. When we started WCCF, it was a class-only model. There wasn’t any Open gym time or free time to do as you pleased. Over time and as our gym community has evolved, the desire to do extra work and to have Open Gym time grew organically. Today, we have a number of you who enjoy using Open Gym time to follow extra programming or to work on skills such as double unders or muscle ups, or to make up a missed workout, or even to just perform the Workout of the Day on your own. These are all great things! But at the root, WCCF is still a Coach-led fitness program. Our Unlimited Membership has always been Unlimited Classes per week. We have reached a point and a size where the Open Gym services that many of you enjoy can no longer be offered for free. There have been no changes to the prices of our Unlimited or 3 Day per Week Class Memberships. The fact is, it is now cheaper than ever to become a member of Whaling City CrossFit. We’re giving everyone more options than ever before. We have added CrossFit Lite Memberships and a 9 Class Per Month Membership, and for several months our On-Ramp Program has been cheaper than ever before and even includes two weeks of Unlimited Class Membership. WCCF continues to evolve and we strive every single day to make this the number one place to go to achieve Elite Fitness. Our Programming for our Group WOD classes continues to evolve. We are continuing to add Specialty Classes so you all have more choices than ever in customizing your fitness regime. Tonight we continue that trend, as we are announcing a Mobility and Recovery Class and a Strength Class! See the “New Programs and Classes” section for descriptions and details. You DO NOT need an Open Gym Add-on to your Class Membership in order to come early to mobilize and warm up on your own or to stay after to cool down and stretch. You will need the Open Gym Add-on if you wish to use WCCF during Open Gym Only times, or during Class times to perform extra work, do WODs on your own, do extra lifting, or complete homework assignments given during Personal Training Sessions (PT Packages include Open Gym access). We are offering the following to our current Unlimited Members: Get Open Gym for the remainder of 2015 for just $10 per month. TWO NEW WEEKLY CLASSES JUST ANNOUNCED! SEE DETAILS BELOW!